It’s all for Relay for Life, of course. Today in New Babbage at 5pm at Piermont Landing, there is an auction of prominent citizens and associated friends of New Babbage. You can read all the details here on The Primgraph … but three items for sale may be of particular interest to readers of Prim Perfect and viewers of Designing Worlds (particularly the New Babbage shows). 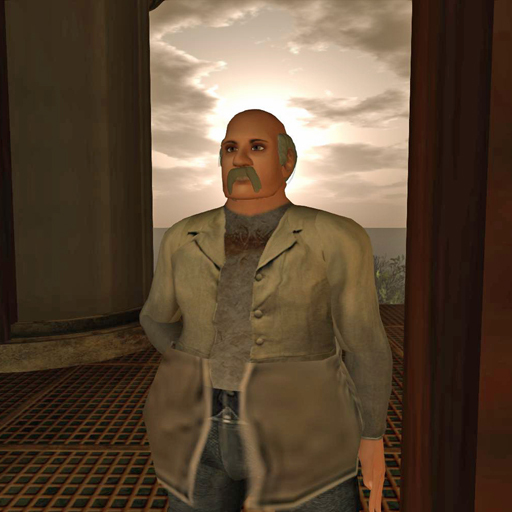 Buying Biggins will win you (and, if you want, your build) an appearance in our next Designing Worlds Babbage show. 3) A home makeover by Saffia and her team, with the option of appearing on Designing Worlds. A private Rowan talk for you an your friends by Professor Rowan Derryth, on Victorian art, design, and/or fashion (subject catered to your whims). 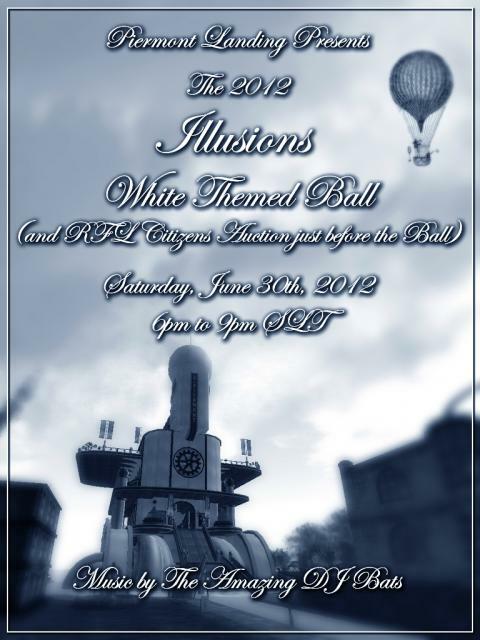 The auction will be followed by the Illusions White Themed Ball, to be held at Piermont Landing from 6 – 9pm with DJ Bats. And if the People Auction doesn’t offer anyone who grabs your attention, perhaps you might be interested in the Auction of Things, to be held at 1:00 pm SLT Sunday, July 1st, also at Piermont Landing, and also just before a dance (DJed by Loki Eliot) – you’ll find further details of this too on The Primgraph blog! So do come along and make a purchase to support Relay for Life … and you could find yourself in the next Designing Worlds show filmed in New Babbage! Previous Post: SUYS takes more vacation days.